March is a month many Sagittarians may move home or begin a major renovation of their home. It is certainly an auspicious time for moving or starting longer term DIY projects, especially if aimed at making your home more comfortable, energy efficient, or functional. Family changes are often a motivating factor for the home improvements, and these can be a growing family, children becoming teenagers, or elderly relatives coming to spend more time with you. In some cases, Sagittarians may be setting up home far from their roots and beginning a new life in a place which will soon become your home as much so as the home you grew up in. This is also a time when many Sagittarians may apply for citizenship or nationality of another country or perhaps apply to emigrate. This month is certainly a good one for submitting any documentation required for such changes. This month is a very important one for drawing a line under issues and moving on. It is especially important to move on from the longer term issues that may have plagued you – you have the chance right now to put these issues into a different context, almost to box them up, slap a label on them and consign them to the past. In many cases, these will be issues stemming from childhood and often linked to parents or events back then; it is time to stop seeing these events/issues as defining – they may define a phase in your life, but they do not define you, and they should no longer have power over you. Loyalty, trust, and security are key concerns in relationships both new and old this month. For new relationships, a mere hint that he or she is fake or two-faced will be enough for you to call off the relationship. Sagittarians put a high value on honesty in general, and this month you also want to see evidence of commitment, and that means having your back and making sacrifices for the good of the relationship. This is not a month for the casual relationship or open relationship; it is a month where true depth of feeling will be displayed by you, and you will want reciprocation, and if you do not get that you will lay down the law. Sagittarians have no truck with time-wasters, and so if you are flirting with a Sag and are not serious about taking the next step, watch out as you are in for the chop. This is a good month for marriages and partnership which have endured many years, and there is a strong sense of shared experience and also mutual support. You can draw on good memories to sustain the relationship and also the affection. The more you have been through together, the better this month will be – the past is a good indicator of the future, and so whatever you survived in the past will be survived now. If you have not been together that long, this month will test your commitment, loyalty, and depth of feeling; it will require grit and hard work, and it will be time for you to prove to each other where the relationship ranks regarding your priorities. This month is an auspicious one for starting up any business which you intend to run from home – even if only initially. It is ideal for businesses which start off with a relatively small investment and grow organically. It is important for you to try things out on a trial and error basis as you may feel constrained by limitations that are imagined – you need to work out by experimenting or testing what can and cannot be done. In many cases, you are exploring new ground, and there may be no valuable data or evidence which can give you an indication of how to proceed. Do not toss out any idea without trying it as the unexpected can work out right now and certain limiting factors may not prove as problematic as you think. This is also a time when Sagittarians who have served an apprenticeship are finally ready to break away and get started themselves as sole practitioners or traders. It really is time for you to cut the apron strings from your current boss, mentor, employer, professor, or parent, and start making your mark regarding the profession you have trained for. This is a powerful time of manifestation of ideas and a very good month to sow seeds or establish new roots for projects which are long term. A wonderful month to begin a new career or start a major new project. This month is a strong one for those who work closely with nature, i.e., in conservation, green energy, farming or with animals. Managing scarce resources and coping with drought or extreme weather conditions is a common theme. Sagittarians in both academia or on the ground can be involved in research to do with climate change, sustainability, and evolution of species. 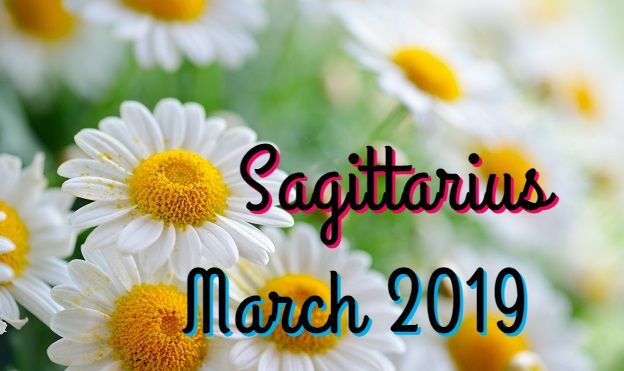 This is a month when many Sagittarians may ditch the office or lecture hall to go and do practical studies in the field – this is a very hands-on time when you need to get first-hand experience to get a grip on situations.